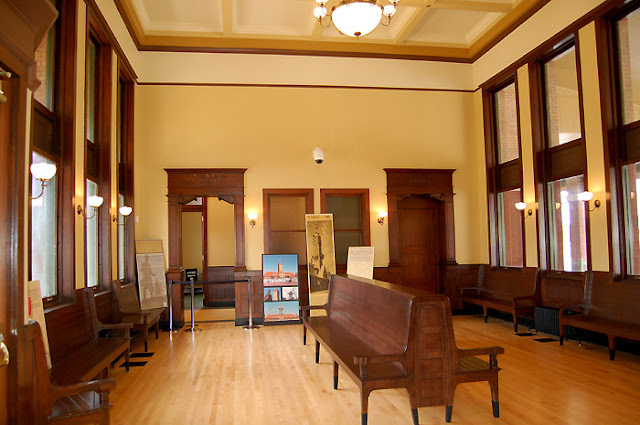 The Digital Research Library of Illinois History Journal™: Illinois Central (IC) Railroad Station [Springfield Union Station] in Springfield, Illinois History. Illinois Central (IC) Railroad Station [Springfield Union Station] in Springfield, Illinois History. Springfield Union Station at 5th & Madison was designed in the Richardson Romanesque style in 1896 as a combined passenger terminal for several railroads serving Springfield, including the Baltimore and Ohio Railroad, Chicago, Peoria and St. Louis Railroad, Illinois Central Railroad, and the St. Louis, Peoria and Northern Railway. Although the structure was intended to be used jointly by these railroads, the Illinois Central was the predominant carrier. The architect was Illinois Central chief architect Francis T. Bacon. 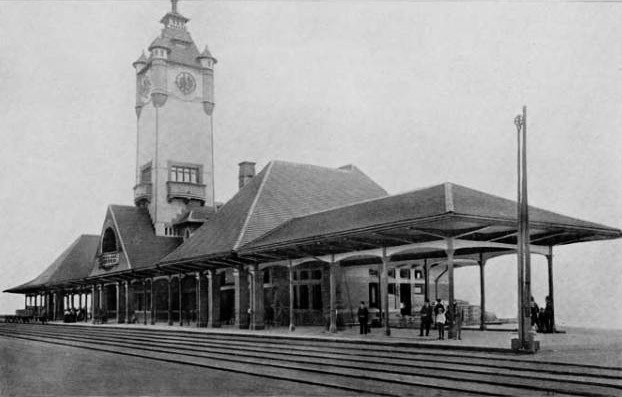 The station was built in 1897-1898 at a cost of $75,000, and opened for business on January 2, 1898. During its 73 years of active service, the station carried substantial passenger train traffic to and from Chicago, St. Louis, and other cities. After passenger train service ended, Union Station housed several private businesses before being used for Illinois state offices until September, 2004. Springfield Union Station is now part of the complex of buildings that together form the Abraham Lincoln Presidential Library and Museum. It is listed on the National Register of Historic Places. The building was extensively restored as the Abraham Lincoln Presidential Library visitor center, which reopened in March 2007. As part of the $12.5 million restoration project, the clock tower was rebuilt, substantially returning the station to its pre-1936 appearance. 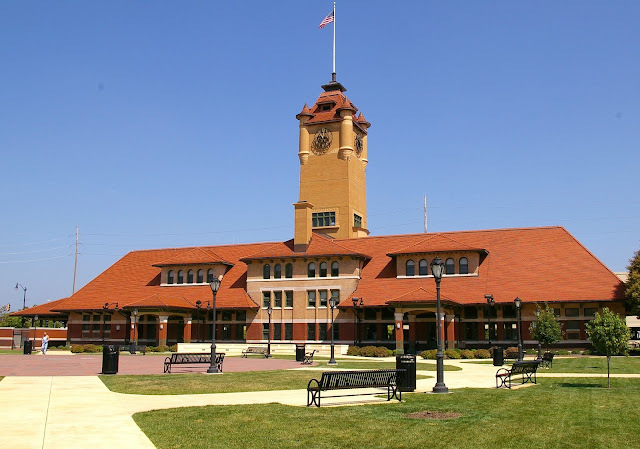 Thanks for finally writing about >"Illinois Central (IC) Railroad Station [Springfield Union Station] in Springfield, Illinois History." <Liked it!